The Department of Planning Transport and Infrastructure (DPTI) had been advised of a road slip failure near Chain of Ponds, South Australia, along a section of North East Road. The section of road is reasonably quiet, although important to the region. 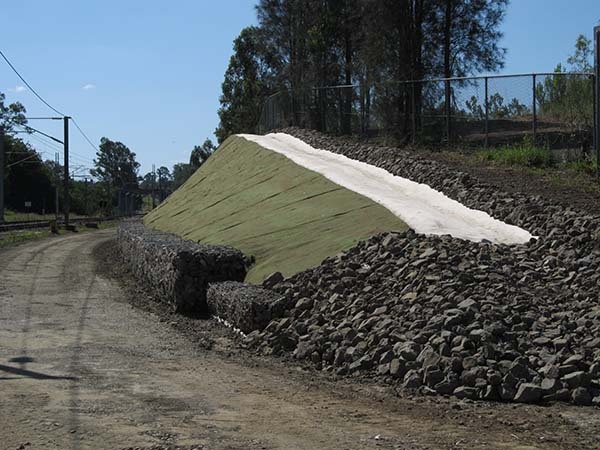 Due to a limited budget for such projects, DPTI approached Geofabrics for their advice on a range of economical solutions for reinstatement of the failed slope and road. Green Terramesh was proposed as the retaining system due to its aesthetics, ease and speed of installation and relatively cheap installation costs when compared with concrete and other “hard” solutions. Megaflo drainage system was chosen for within and behind the slope due to its flexibility and strength. 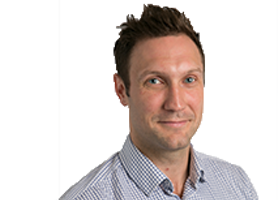 Furthermore, the erosion control blanket on the Terramesh face was an added benefit that would eventually provide a natural look when the vegetation began to grow back and further stabilise the slope. Geofabrics assisted from the start, offering a range of options to the design team. Green Terramesh was chosen as the preferred solution and a design suggestion was provided to the client by Geofabrics technical hub. Once the design was confirmed and approved by DPTI, Geofabrics carried out a presentation to the field crew regarding methods of installation. Approximately 10 field staff attended and Geofabrics provided answers to numerous questions relating to the install and product. The retaining system consisted of Green Terramesh, which allowed for confinement of backfill and Tensar RE Grids for soil reinforcement and to increase the soil’s shear strength. This enabled the structure to stand up a 60° angle, not at all possible without the use of geosynthetics. It also meant that no concrete or overly heavy machinery were required for the installation. Once a system was in place, the field staff became very familiar with the process and installation was rapid, which in turn meant that limited time was spent onsite. 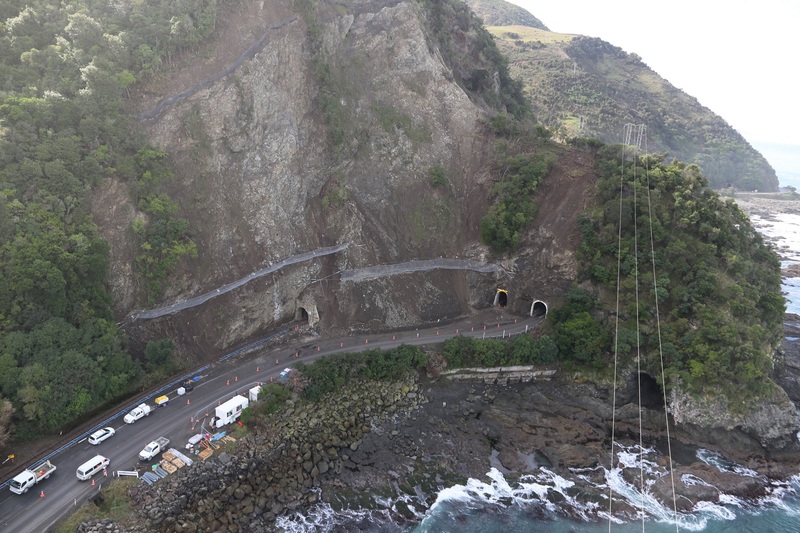 The reinstated 6 m high slope was opened within five weeks of construction time which meant road closure was kept to a minimum. 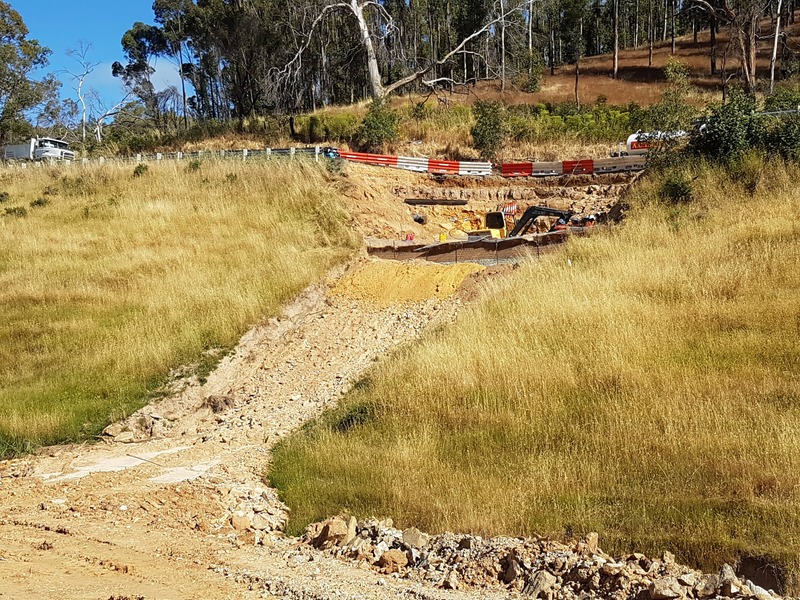 Two years on and the structure is performing exceptionally well with no issues or concerns, and it’s been noted that vegetation has already started to grow on the exceptionally steep slope, even in the harsh Adelaide climate.